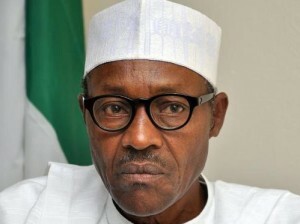 President Muhammadu Buhari has sacked the Accountant General of the Federation, Mr. Jonah Otunla for allegedly misappropriating N2.5 billion of security agencies’ funds. Mohammed Dikwa, who hails from Borno State, has been appointed acting AGF, according to online publication, The Will. Until his appointment, Dikwa was a Director in Office of the Accountant-General of the Federation. The Office of the Accountant General of the Federation (AGF) later confirmed the removal of Otunla as Accountant and the appointment of Dikwa as Acting Accountant General. A statement by the Accountant General’s office said that the appointment takes effect immediately. Dikwa, who will hold the position in acting capacity until a substantive replacement was announced. personally, anything that has to do with sacking of a top govt official has always gained my favour, except the Sanusi sack case. so many people has failed the country a little that I like seeing their downfall.